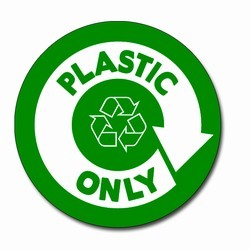 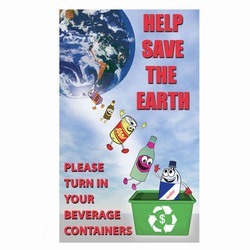 AI-rdoth230 - 4 Color Process Help Save the Earth Please Turn In Your Beverage Containers GIANT Recycling Decal 9" x 15"
9" x 15" GIANT Decal, Four Color Process Imprint on White Sticky Back Vinyl. 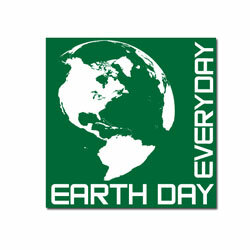 "Help Save the Earth. Please Turn In Your Beverage Containers." 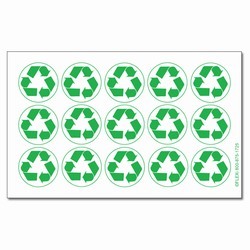 with recycling characters landing in recycling bin from Earth. 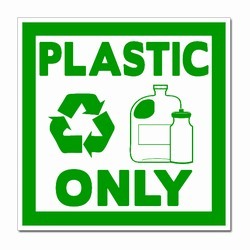 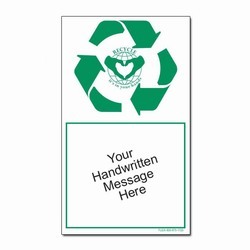 AI-rdoth109 - 1 Color Recycle Symbil with Handwritten Message Area Recycling Message Decal Green Imprint on White Vinyl, 4" x 6 3/4"